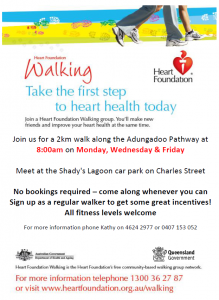 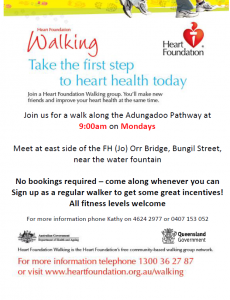 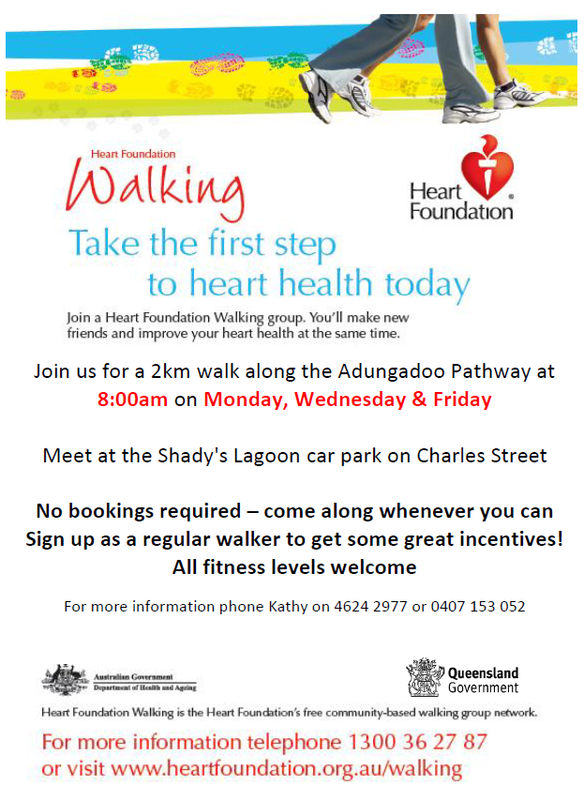 Heart Foundation Walking is also looking to start up new walking groups within the Maranoa. 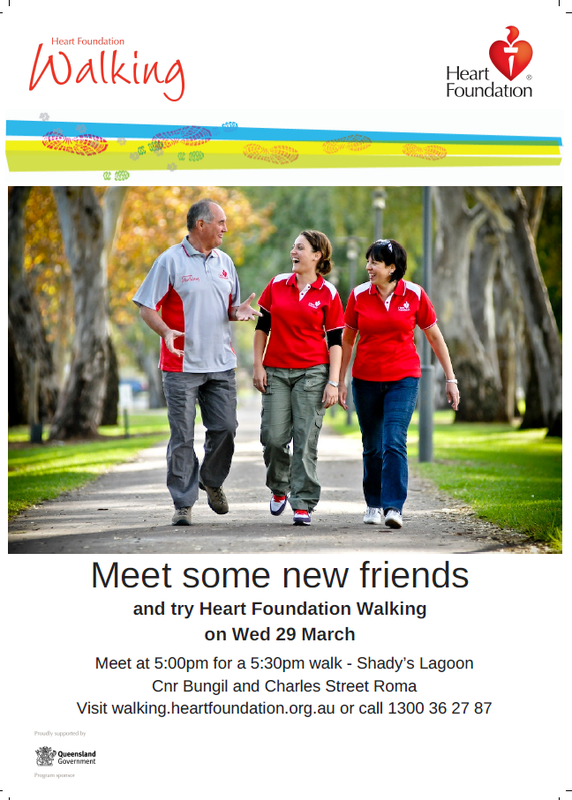 Walks can be at any time, date, or location that suits you and your walking partners. 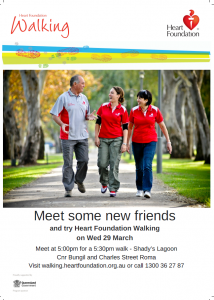 Walks are designed to suit walkers of all abilities, and can even include dog walking groups. 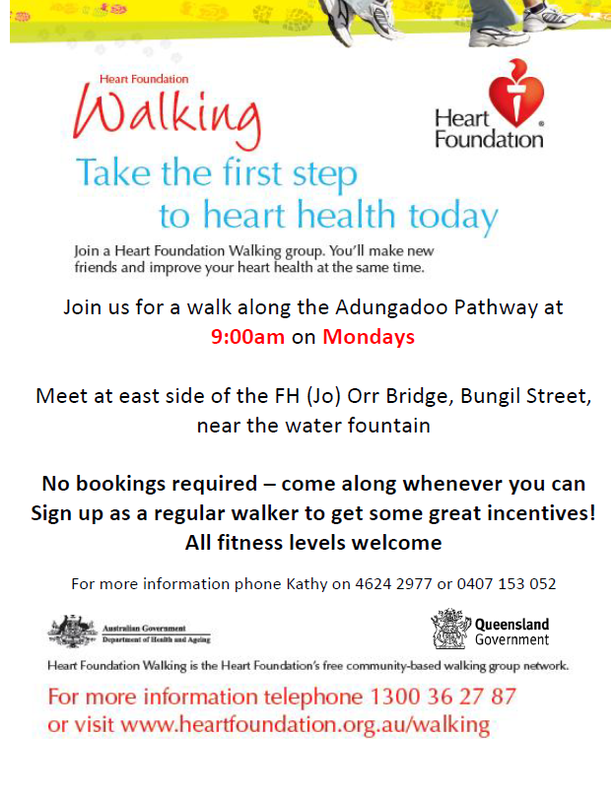 If you already have a walking group you can still sign up to Heart Foundation Walking for motivation by tracking your progress online, and winning prizes for reaching walking milestones.